FIGURE3 ■ (A) Completed posterior neobladder plate and suturing of urethro-neovesical anastomosis. (B) Anterior suture line and completed neobladder with drains. 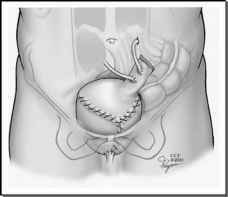 FIGURE4 ■ Completed neobladder in the pelvis. sutures. 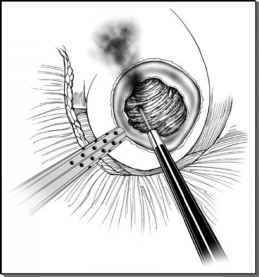 The remainder of the ureteral implantation is performed using a running 4-0 poliglecaprone suture (Figs. 3B and 4).